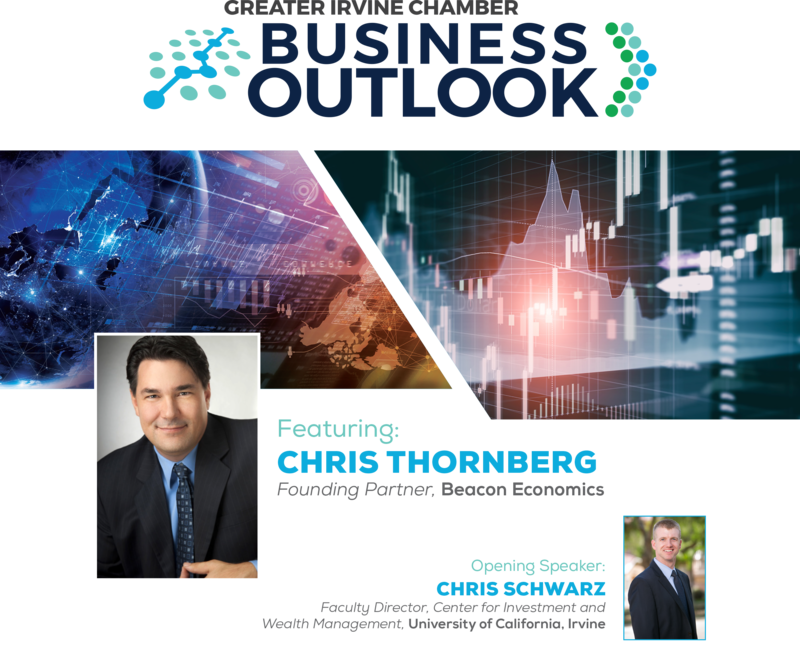 Join The Greater Irvine Chamber and 700+ attendees for a macro and market economic forecast from expert economist, Chris Thornberg, Founding Partner of Beacon Economics. An expert in economic and revenue forecasting, regional economics, economic policy, and labor and real estate markets and current Director of UC Riverside School of Business Center for Economic Forecasting and Development . This event will also feature opening speaker Chris Schwarz, Faculty Director, Center for Investment and Wealth Management at UCI, who provide a financial forecast. Enjoy breakfast and network with c-level executives!